Preceding the vinyl release, Unity Committee formed Jurassic 5, along with another group, Rebels of Rhythm. Cut Chemist contributed avidly to the group, adding “Lesson 6: The Lecture” to Jurassic 5’s eponymous EP, and co-producing the entirety of the record. Between then and other releases, he explored remixing alongside DJ Shadow and Liquid Liquid, and performed doing outside work (sampling and scratching for Less Than Jake, and appearing with Ozomatli). 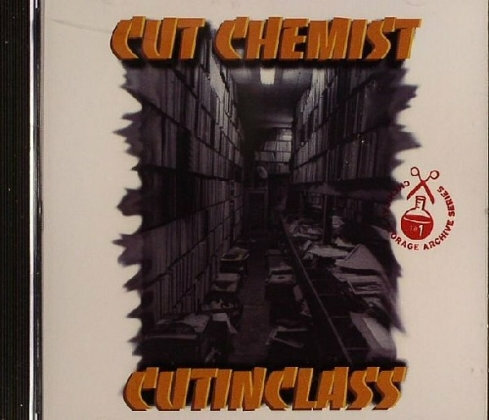 From late 1996 to early 1997, Cut Chemist recorded his album debut, Live at Future Primitive Sound Session, with Shortkut of Invisibl Skratch Piklz. Cut Chemist did not appear on their latest album Feedback. In May 2006, he indicated to Billboard that he had left the group. Cut Chemist’s first full-length solo album, The Audience’s Listening, was released on July 11, 2006. The album includes the pre-released song “The Garden”, which features a bossa nova style, vocals from Astrud Gilberto’s Brazilian song “Berimbau”, and berimbau instrumentals. The song “The Audience Is Listening Theme Song” from The Audience’s Listening has been featured in a 2G Apple iPod nano advertisement. More recently, Cut Chemist has opened for Shakira in 2007 on the European leg of her Oral Fixation Tour, and at the press conference held by car-maker SEAT to promote their sponsorship of the shows. Cut Chemist made an appearance in the 2007 comedy Juno, playing a high school chemistry teacher, playing on his “chemist” stage-name. His logo was present in this scene in the form of a large pair of prop scissors suspended over a beaker. Cut Chemist joined DJ Shadow on a world wide tour to support their new mix The Hard Sell beginning in early 2008. Kid Koala opened for them. Dates included Dallas, New York, San Francisco, Melbourne, Toronto, Vancouver, London, Hamburg and Paris among others. In October 2008, Cut Chemist’s video for the song “What’s the Altitude” featuring Hymnal was removed for violating a WMG copyright. Cut Chemist is featured in the award-winning documentary This is the Life, chronicling the music movement which was birthed at The Good Life Cafe in South Central Los Angeles. The Good Life is the open-mic workshop where he first performed with Unity Committee in the early 1990s and launched Jurassic 5. Most recently, Cut Chemist was featured in the film Up In The Air under his name Cut Chemist as the conference DJ who introduces Young MC.